One of the first items we discuss with new clients is their site. 1. We try to design buildings in a way that is respectful and harmonious with Mother Nature. Also, we want to do everything we can to build something that is durable/sustainable. 2. The way the new building is situated on the site can and should take advantage of natural light and natural breezes. This helps to decrease short and long term energy consumption, which in turn saves our clients money. 3. We try to take advantage of existing topography to create beautiful exterior spaces that minimize the amount of material and manpower to create these spaces. There are other factors to consider but in order to keep the post short, those three will suffice for now. So, how do we accomplish this? We begin with a schematic site study. This study includes existing topography, how the sun interacts with the site, and natural breezes. 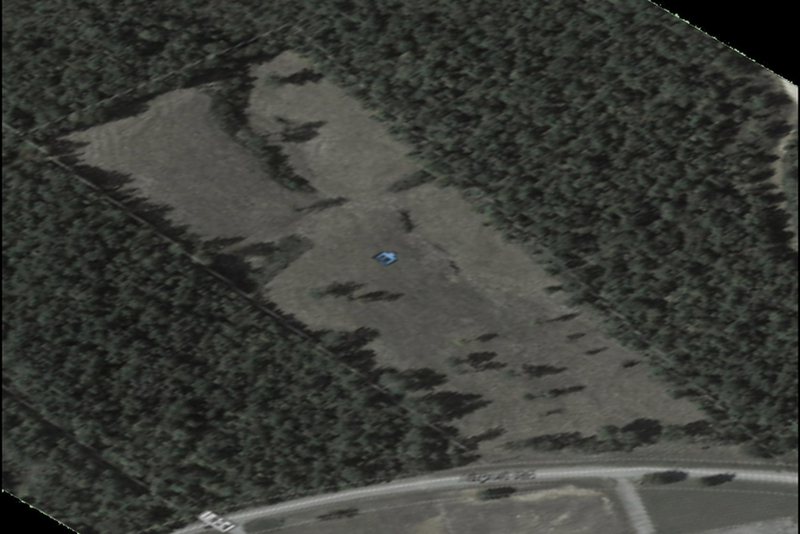 We recently began working with a church that purchased 10 acres of property. This church had the foresight to hire a Surveyor that produced a survey to include contour lines/topography. In an effort to assist us and our clients better understand our site, we created a three dimensional model that depicted the current site conditions. The process is shown below. Aerial view of existing site. Aerial view with existing topography/contour line overlay. 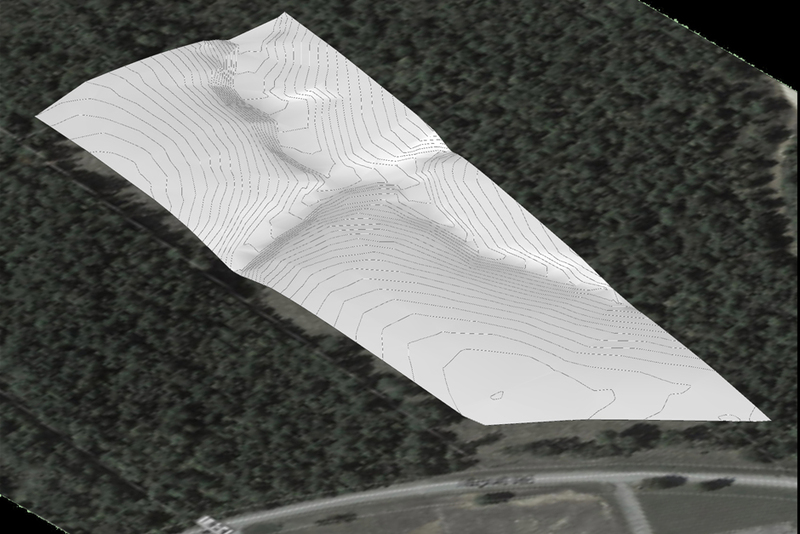 Aerial view with existing topography/contour line overlay that defines three dimensional model of the terrain. Three dimensional model of terrain. Notice how the model shows the relatively flat areas and the two drainage swales that naturally traverse the site. 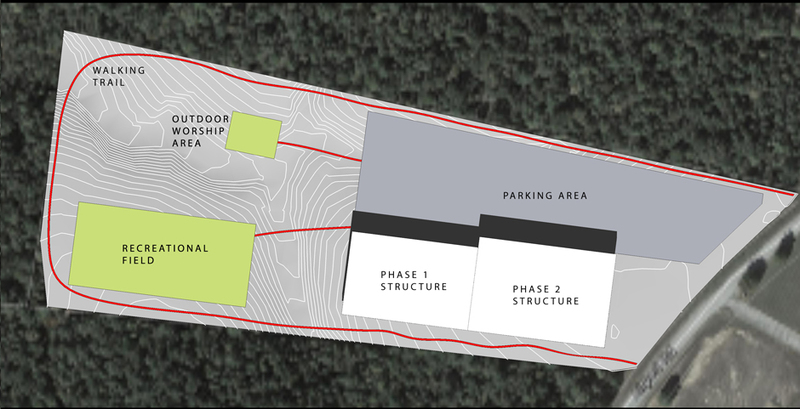 By modeling the existing site, it allowed us to efficiently determine the locations of buildings, parking, recreational fields, a playground, and an amphitheater. Now that we have located the various pieces of the plan, we can begin to schematically design the buildings to take advantage of the natural light and existing breezes that are already available to us. And I’ll discuss those two aspects in another post. Joshua A. Wright is a fully licensed Architect located in Middle Tennessee. Nashville/Clarksville Architecture, Commercial & Residential Design, Master Planning.